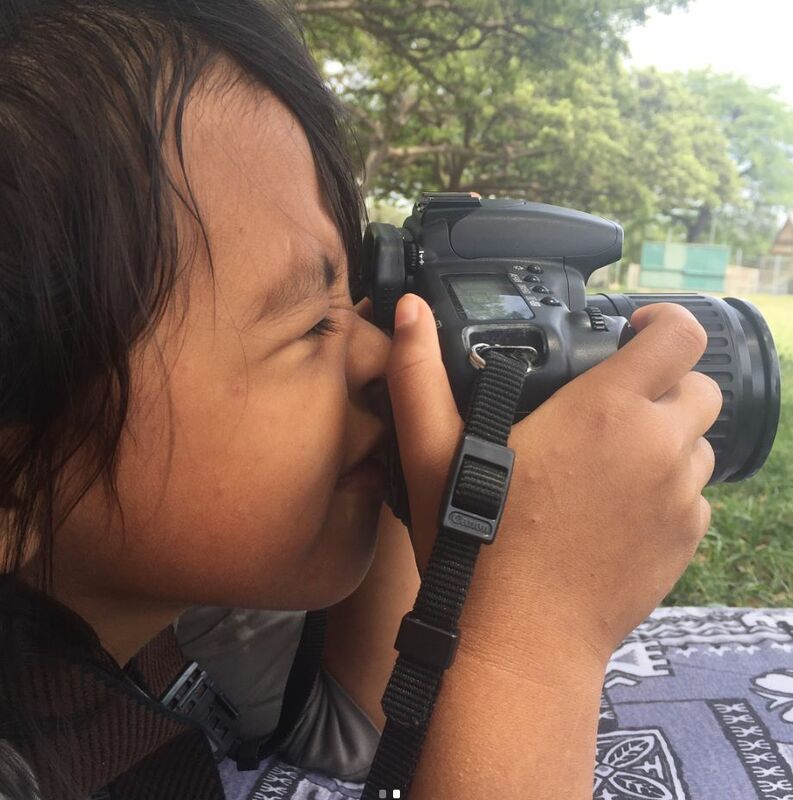 By donating, youʻre helping push these kids a step closer to becoming the future leaders and visionaries of Hawaiʻi. This money will provide them with the materials they need to create important, powerful work about themselves and their surrounding community. All proceeds goes towards getting them camera equipment, basic classroom supplies, travel expenses, and gallery show expenses. In addition to producing creative work, Wolf & Woman also offers a free youth art program to low-income and houseless youth. Being that some of us come from low-income communities, working with youth from similar backgrounds is our driving force and main priority in our youth program. We aim is to amplify their voices by teaching them the basics of photography, the power of visual storytelling, and the impact that photos can have on society through hands-on education. In our lessons, one thing that we emphasize on is how important it is for them to tell their own stories-- especially in a society filled with saviorism and meaningless work. Our current class is taught by Marie Eriel Hobro, Cidney Kelly, and Chris Emory and includes houseless youth (ages 6-20) from Pu’uhonua o Wai’anae. The kids we work with are all incredibly bright, determined, talented, funny, and full of brilliant ideas. Without much instruction, they produce work that has quality far beyond their years. They photograph Waiʻanae in ways that weʻve never seen before and constantly amaze us with their ideas and vision. This program is really just here to help them refine the natural talent that many of them already possess. Many fail to realize the difference between a want and need for things like this. We know that this isnʻt a necessity in their lives because they already have an amazing support system within Puʻuhonua o Waiʻanae as is. While they may not need us to be successful, they are the future leaders and visionaries that Hawaiʻi needs.